Polaroid Polacolor II prints laid on paper in 9 pcs. There are all sorts of art forms which continue to be inspiring, unique, and allow for budding artists to find their own voice in their own work. Such a medium that continues to do such a thing is photorealism, or the process of creating high quality art that almost looks like real life, blurring the line between art and realism. 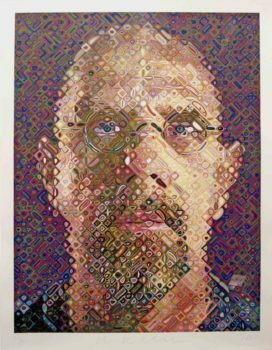 In this realm of reality and art, there is an artist who made a name for himself through his incredibly detailed photorealism pieces that are larger than life, and that particular artist is Chuck Close. 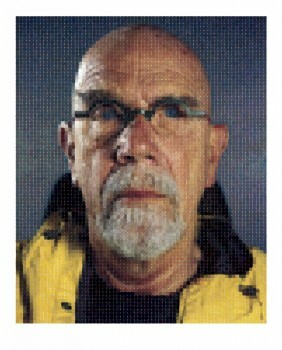 Chuck Close was born in Monroe, Washington on July 5th, 1940. 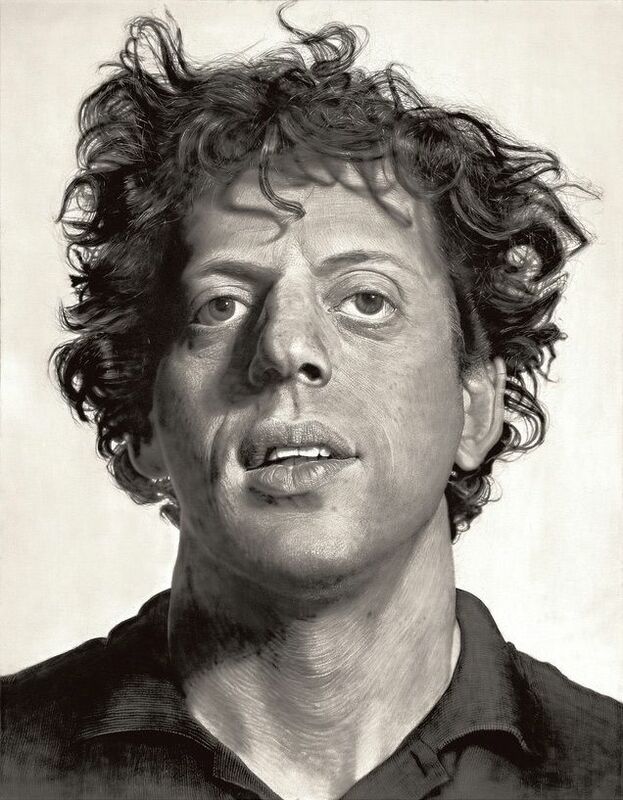 Close’s earliest encounter with the art world was when he went to the Seattle Art Museum and discovered Jackson Pollock’s work, at first hating that Pollock used such an odd approach to art until the young Chuck Close started imitating Pollock’s work with his own paintings at home. 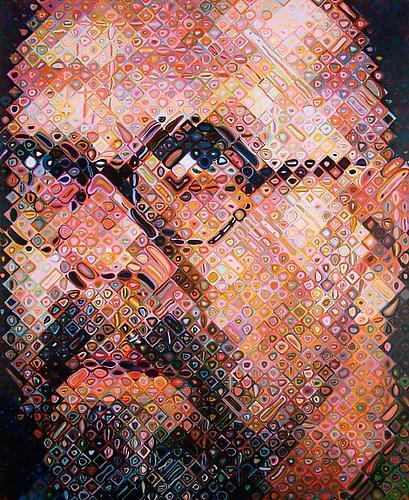 Because of his struggle with dyslexia in school, Chuck Close found solace in creating art and started to develop his skills until eventually attending college at the University of Washington and then Yale University. However, Close didn’t stop with his education and went on to attend the Academy of Fine Arts in Vienna. When Chuck Close returned to the United States, he began working as an art professor at the University of Massachusetts while continuing to hone his own craft. 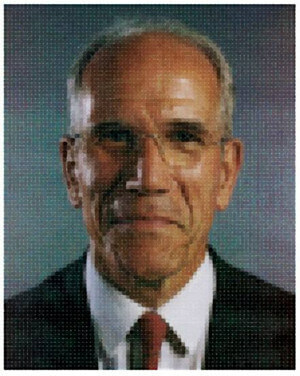 However, he would soon leave behind his teaching career and move to New York City to focus on his artistic career full-time in the late 1960s. Close’s signature pieces in the beginning featured close family and friends in portraits which focused primarily on the face on huge, nearly floor-to-ceiling canvases. This change in style came from his time at Yale, where he first started out in abstract and expressionism painting. Chuck Close became highly popular and regarded after his painting of famous composer Philip Glass was painted. 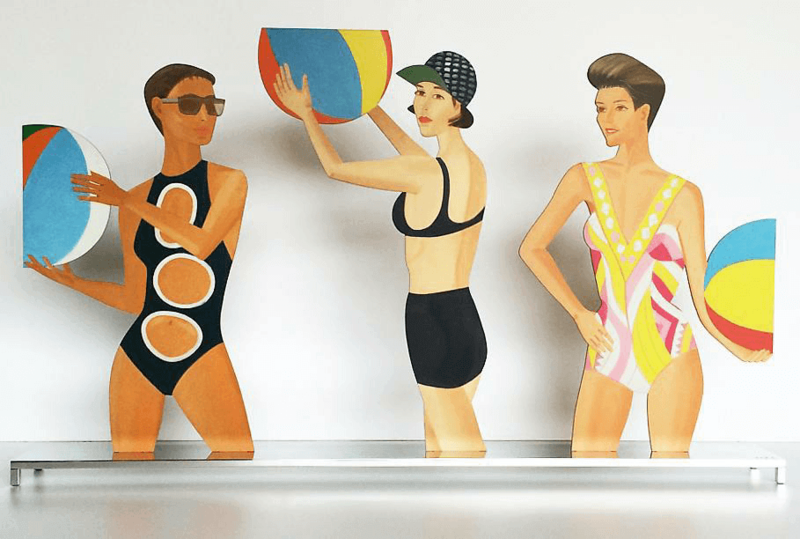 He also had the honor of painting a portrait for former president Bill Clinton, among many other famous persons throughout the creative and mainstream landscapes. 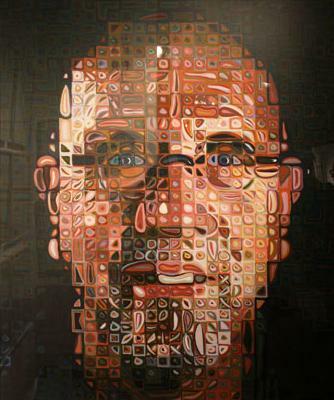 Chuck Close uses a variety of different techniques when creating his large scale paintings, however all of them share the same attention to detail and hours of time Close spends on them. 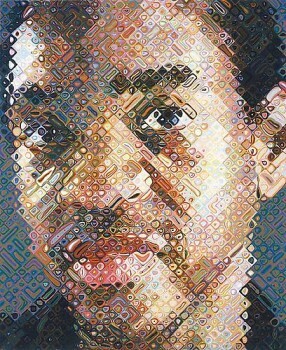 He works in a grid-like pattern and layers colors upon each other to achieve his unique look. Close has also battled with different ailments, his most recent being in 1988 when he suffered a spinal artery rupture, leaving him paralyzed. Before this, Chuck Close experienced neuromuscular problems as a child. 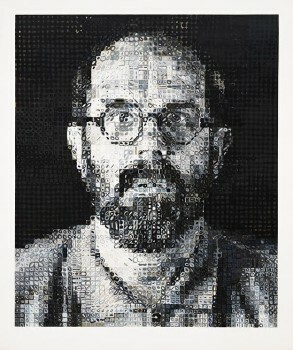 Despite this, Chuck Close continues to paint with the help of assistants and taping paint brushes to his wrist. This is also when he started to focus on his “low resolution” paintings that create one bigger picture when viewed from afar. 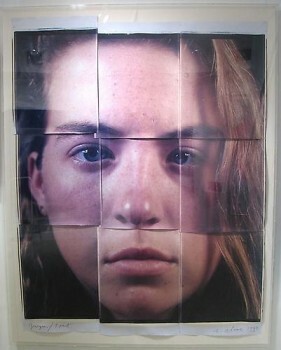 Regardless, all of his work has been celebrated and is featured in numerous galleries with thousands of appreciators. Only a portion of our Chuck Close screenprints are represented online. Please contact us if you are looking for something special. 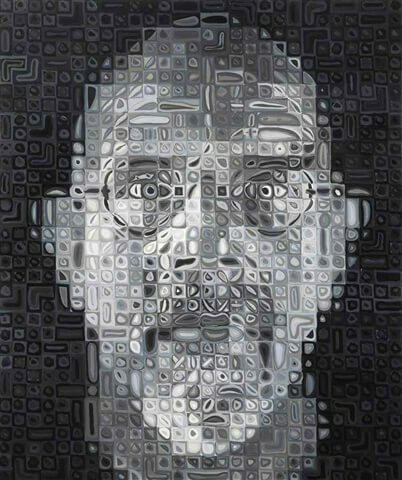 Read more about Chuck Close in our blog. 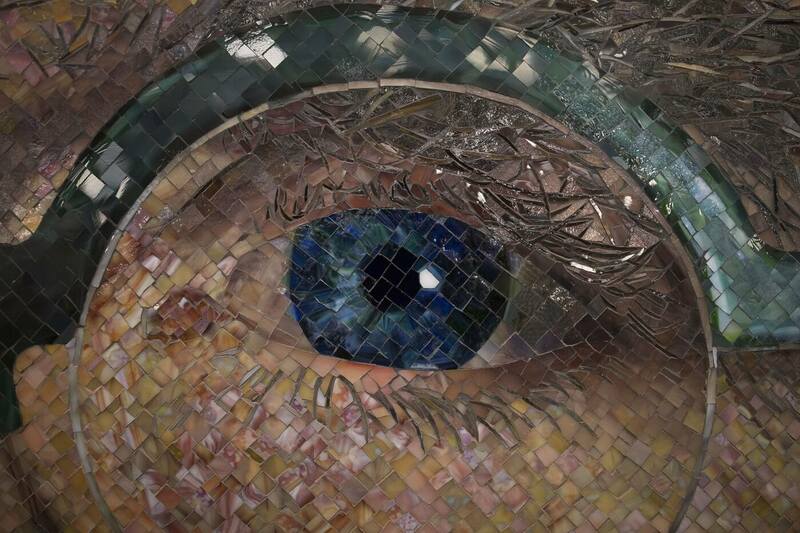 Meta description preview:In 2011, Chuck Close, Laddie John Dill and Robert Graham’s estate filed a suit against Christie’s, Sotheby’s and eBay that asked for royalties after the resale of their work. A few weeks ago, the court shot down the California law, saying that it conflicts with the federal Copyright Act. The extraordinary Chuck Close continues to create outstanding portraits, in a variety of media, despite his age (he turns 77 in July) and his being wheelchair bound since 1988. 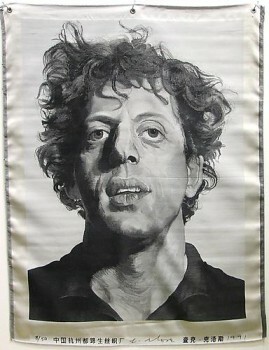 Close spends much of his time in his studio in Long Beach, New York, and winters in Miami Beach. Last month he closed on a 1,316-square-foot, two-bedroom, two-bath condo at the Setai in Miami for $3.4 million. It’s the second condo he’s bought in the building. This apartment is on the 25th floor and has views of the beach. 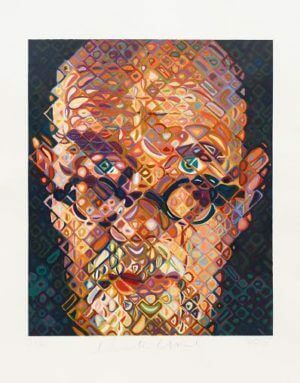 Chuck Close’s work is part of the collections of many major American museums, but until now, has not been included in any permanent collection in the UK. 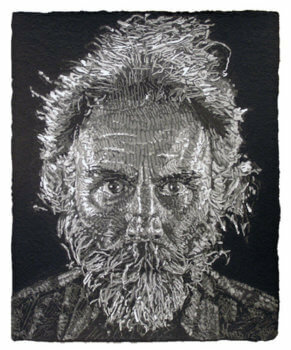 For more than fifteen years, VFA has focused on bringing our clients fine art prints created by extraordinary artists. Our recent focus has been on three extremely skilled artists who have been producing Fine Art Prints for the many years. A recent New York Times article features a photo of Chuck Close in front of Donald Sultan’s Domino painting. 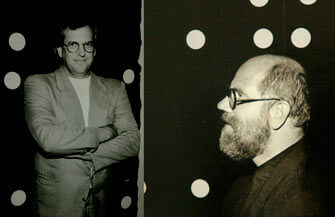 When we found a photo of Donald Sultan in front of the same painting, we took a closer look…and found the six degrees of separation between the two artists.